Smog filter set solution 28630330 https://www.kaercher.com/ae/accessory/smog-filter-set-solution-28630330.html Developed for use in our AF 100 air purifier at places with a high level of fine dust pollution: the smog filter set safely removes fine dust particles, ozone and tobacco smoke from the ambient air. Developed for use in our AF 100 air purifier at places with a high level of fine dust pollution: the smog filter set safely removes fine dust particles, ozone and tobacco smoke from the ambient air. The smog filter for our AF 100 air purifier is ideal for massively reducing the pollution in offices on busy roads, in city centres, as well as generally speaking on days with a low exchange of air in large cities. Hazardous smog is made up of natural fog, smoke and exhaust gases and is reliably removed from the ambient air together with fine dust particles, ozone and even tobacco smoke. Other filters are available for the air purifier for other special requirements. Genuine electrostatic HEPA filter technology (EN 1882:1998) for optimum functionality. 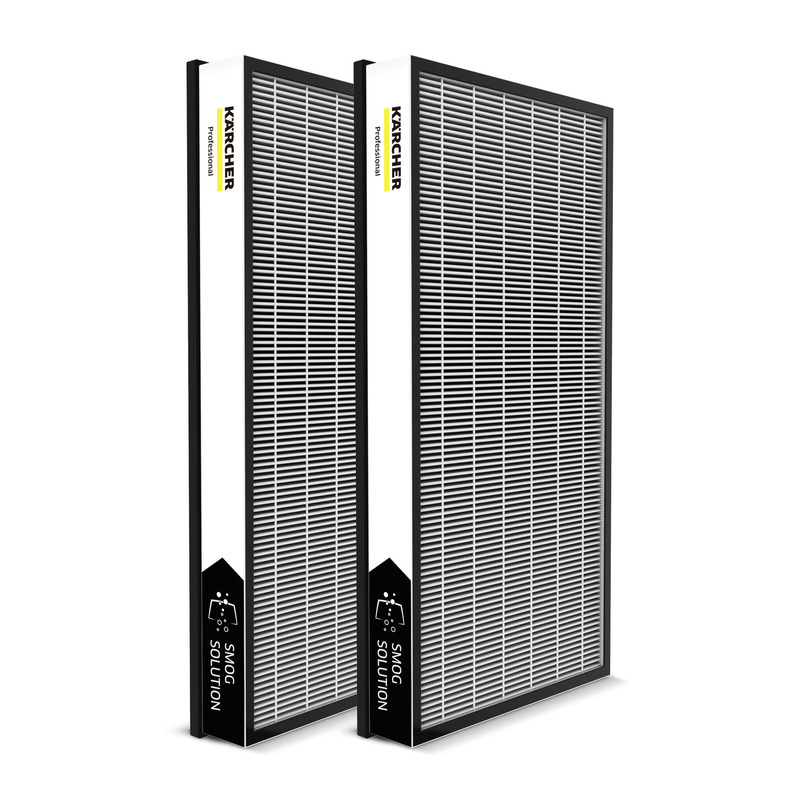 The excellent sealing of the filter reliably holds back smog and fine dust.